Dental Implants keep going on a meteoric rise for the most popular option for restoring teeth. If you feel on the fence of going for dental implants to restore your smile today I am going to give you 5 more reason to convince you that this is the right choice for you. First let’s define dental implants for those readers that are not sure what they are. Basically in short terms dental implants are a titanium screw that it is installed by a professional implantologist into the patient’s jaw. This screw serves as a base for dental crowns, bridges and even complete dentures. Later we will talk more about that. As I was talking before, dental implants are so strong and useful that they can support a lot of things. 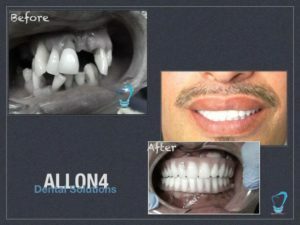 It does not matter if the patient needs one tooth or they whole denture replaced, dental implants can get the job done. This is pretty cool because it can be adapted to the patient’s needs. Although for a complete denture the most recommended option is the All on 4 treatments, where the dentist install 4 implants to support a complete denture. Many patients are afraid that with dental implants they won’t be able t o continue a normal life. This is a lie, because with dental implants you will be able to eat, talk ad more just as you did with a natural denture. You do not have to worry for the looks, as the material of the crowns is usually porcelain, which is perfect for imitating the teeth. And the strength of the bite won’t change at all. After the implants heals you should be able to eat from candies to steaks with no problem at all. Many people does not know that when they lose their teeth, their jawbone changes. To fill the missing tooth’s space, the jawbone tries to fill the gap by moving the adjacent teeth together. This is bad as is mess up your teeth and alignment. Not to mention it deforms your jawbone structure and causes a lot of bone loss. With dental implants, your jawbone will stay healthy as always. If you suffer some bone loss do not worry, bone graft exists to correct the problem right away. Yep, getting dental procedure is pretty painless. Just using local anesthesia is enough to install the implants and the patient won’t feel a thing. Just as a disclaimer, I know some patients can’t get pretty nervous going to the dentist for these kind of procedures, but in Dental Solutions we offer complete sedation for an extra fee. One of the best parts of dental implants is that it does not take so much time to get. With today’s technology and techniques available in Dental Solutions Los Algodones, installing a set if new dental implants takes just a couple of hours. No wonder implants are getting more and more popular. 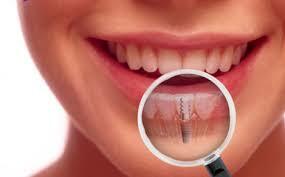 Most people are afraid that getting dental implants can be expensive. But those people are just thinking about US standard prices for implants. If you want to pay almost 50% of that price come to Los Algodones Mexico. Here in dental Solutions offer the same quality of treatment for less price. You do not have to worry about communication as our staff is fluent in both English and Spanish.